If PCB layout is your game, the Advanced PCB Layout option is worth a serious look. Available only with PADS Standard Plus, this bundle adds best-in-class high-speed autorouting, time-saving DFT audits, and an advanced packaging toolkit for designing with bare-die components – all at an incredible price. Power delivery and reliability are critical for product creation with today’s modern, high-performance electronic circuits. Avoid unexpected or unpredictable circuit behavior by identifying power-delivery issues early in the product creation. Insufficient cooling can result in schedule delays, low reliability, and increased product costs, especially in today’s high-performance devices where components are densely packed into ever-smaller enclosures. Guarantee your product’s success with PADS FloTHERM XT. Ensure that your design is manufacturing-ready. This option includes more than 100 of the most commonly used fabrication and assembly analyses, making it easy to identify issues like resist slivers, unintended copper, and improper test point – to – test point spacing that cause production delays. Communicate design intent between electrical and mechanical CAD systems using the PADS MCAD Collaborator option. Both you and the mechanical engineer stay in your respective system’s comfort zone, making collaboration effective and convenient. Use the option to draw RF shapes and to interface with Keysight ADS. Parametrically create RF circuits in PADS Professional and send them to ADS for simulation. Or have your RF specialist send circuits to you, via the two-way interface. Improve routability and signal integrity by optimizing FPGA pin-out assignments with the FPGA-PCB Co-Design option for PADS Professional. HDL synthesis and advanced FPGA-PCB I/O optimization help reduce time-to-market and manufacturing costs. Design Review option for PADS Professional lets you easily review complex PCB schematic and layout designs, add feedback, and share design information between departments and with manufacturers. Ensure your product ships without signal integrity or EMI issues. 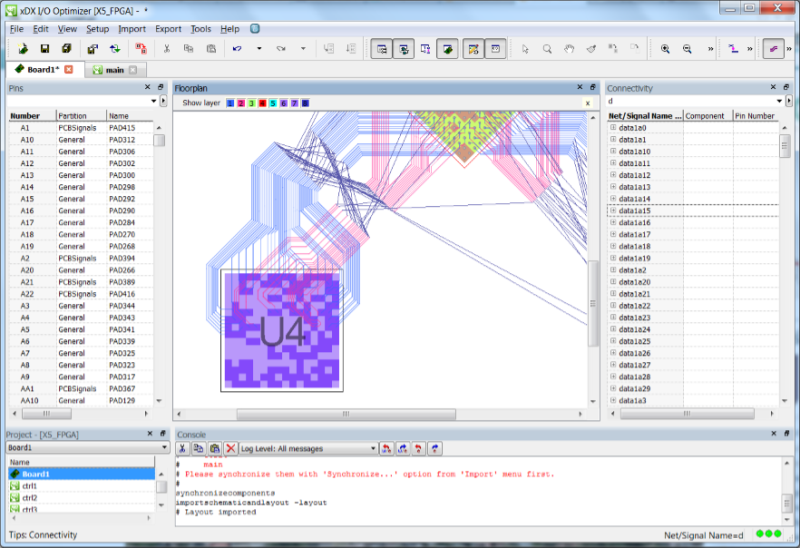 PADS HyperLynx DRC identifies problems, such as traces crossing a void, that the assumptions made by simulation-only approaches cannot catch. Successful design of DDR interfaces requires investigation of signal integrity issues and characterization of timing margins. The easy-to-use wizard in PADS HyperLynx DDR walks you through the steps needed to set up parameters for use in SI and timing simulations, helping you achieve first-time design success. Set and protect net topologies and eliminate impedance changes. With this option you’ll gain superb control of matched-length, differential pairs, and min/max length nets anywhere in the rules hierarchy.